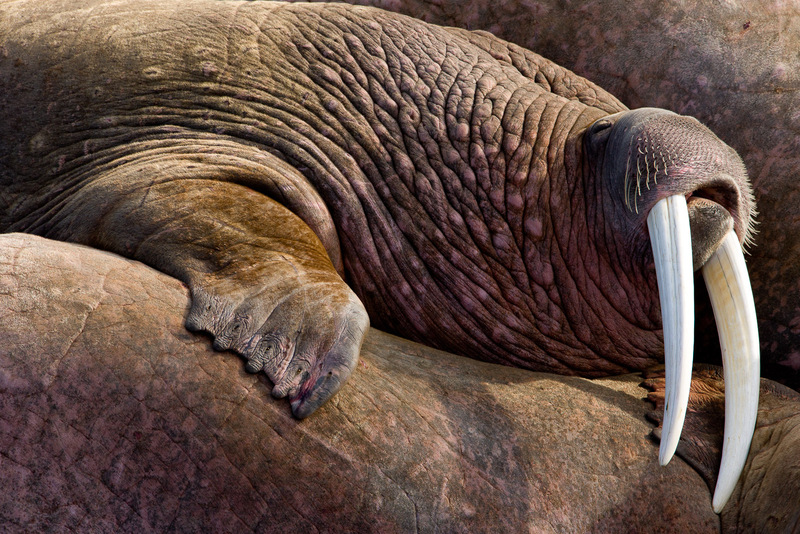 Walruses haul out onto rocky beaches each summer while the females raise the young up north. Though they can be loud, temperamental, and aggressive to one another they are very social...at times. These males bathe in the warm sun on top, alongside, and all around each other as they overindulgence in the summer rays. Photo © copyright by Lance B. Carter.